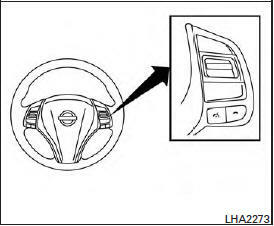 The control buttons for the Bluetooth® Hands- Free Phone System are located on the steering wheel. a VR session or answer an incoming call. to interrupt the system feedback and give a command at once. See “List of voice commands” and “During a call” in this section for more information. quit the voice recognition system at any time. While using the voice recognition system, tilt the tuning switch up or down to manually control the phone system.